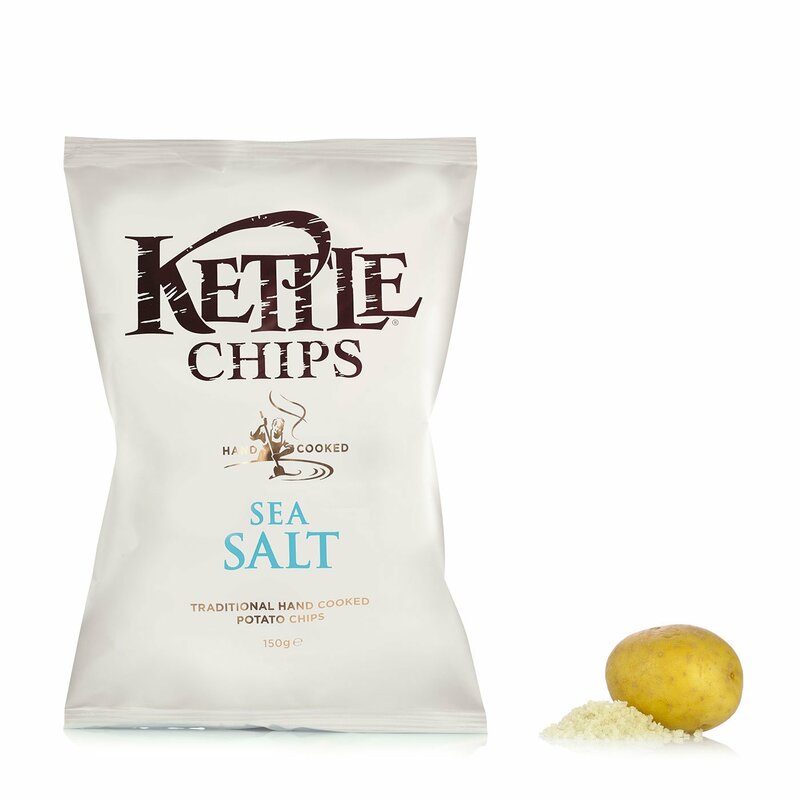 In the Sea Salt version, the crisps in the Kettle bag now include the intense flavour of sea salt for a delicious and sophisticated snack. 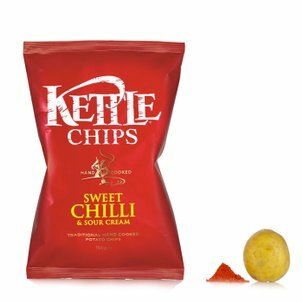 All of this without having to settle for less than the Kettle factory brand: the extraordinary crunchiness is obtained due to the high quality of the oil used for frying. Ingredients Selected potatoes, sunflower oil, sea salt. For more information on product labels, please contact our Customer Service department. The information on the labels of the products may vary for reasons beyond our control, therefore, there may be discrepancies between the information on the site and that on the products delivered. Please always check the information on the product before consumption or use.